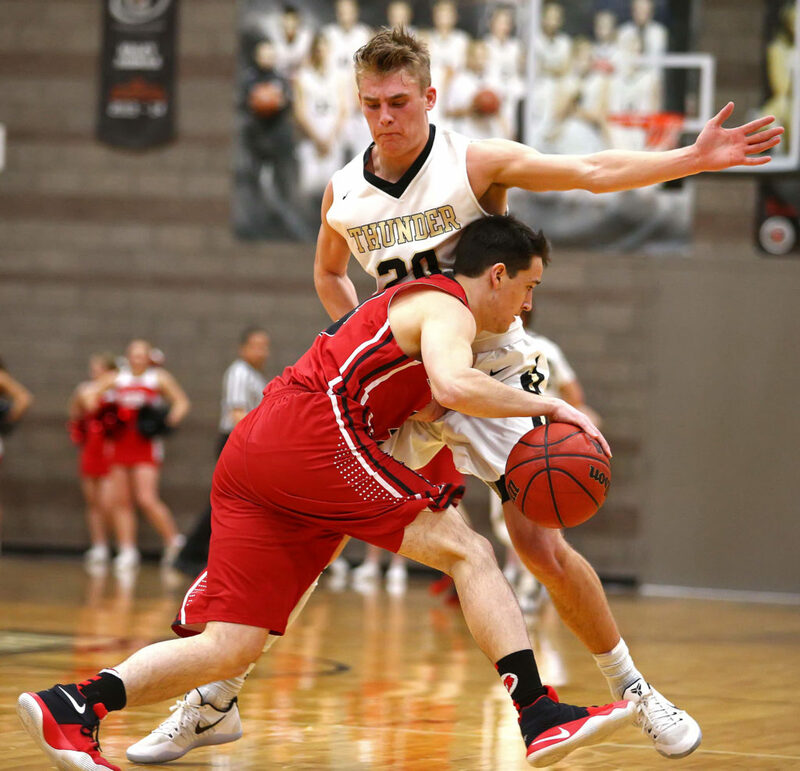 ST. GEORGE – Championship teams need to gut out ugly wins, even when they don’t shoot the ball well, if they want to go all the way. 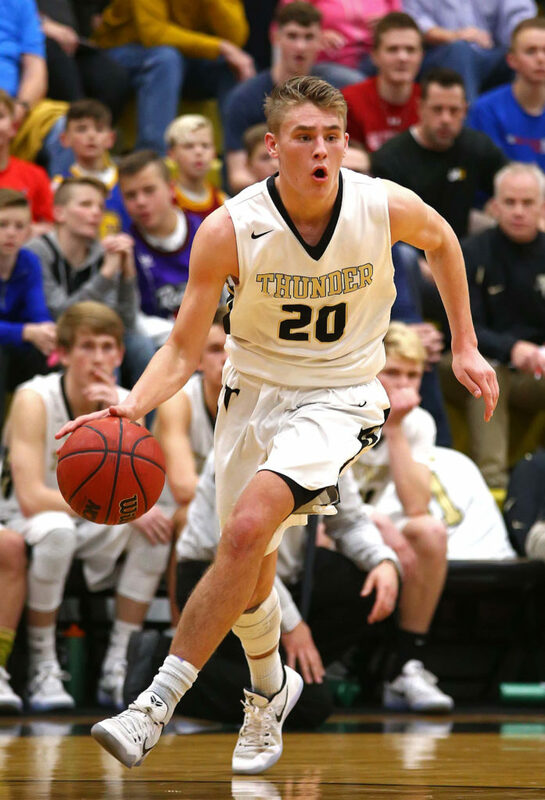 Desert Hills wants to be a championship team and the Thunder took their first step with a low-scoring, poor-shooting, grind-it-out 49-41 victory over Bear River Friday night at the Thunderdome. 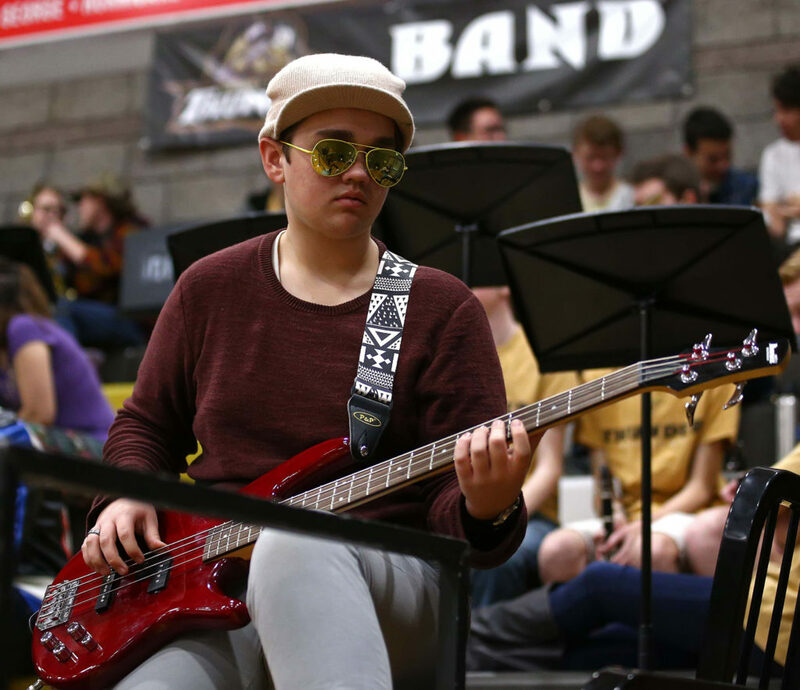 As the top seed and region champ from southern Utah, the Thunder were heavily favored against the fourth-seeded Bears from Region 11. 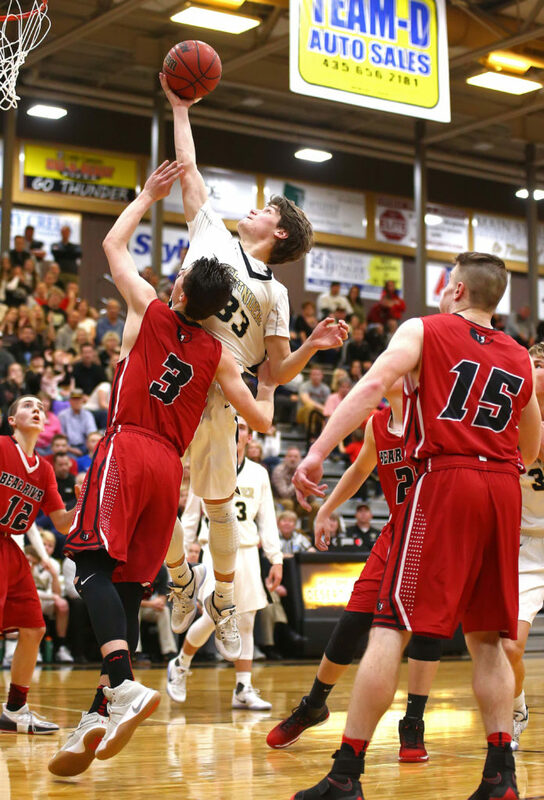 But Bear River was not intimidated and actually took the lead midway through the third quarter before fading down the stretch. The Thunder did not trail in the first half and led by as many as eight points, settling for a 23-16 halftime advantage. But the Bears surged at the start of the third quarter, outscoring D-Hills 8-0 over the first 3 1/2 minutes. 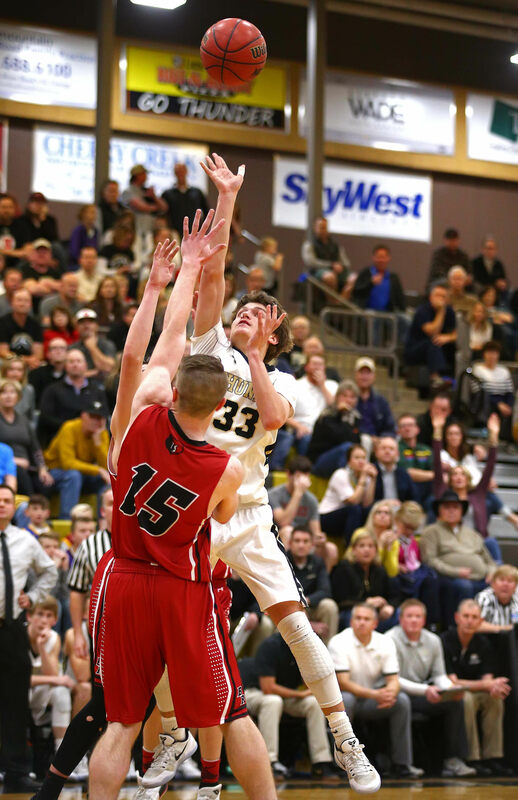 Jake Dahle and Kaleb Jensen each hit a 3-pointer and, when Gunner Sorensen scored on a 15-footer with 4:32 to go in the third, upstart Bear River had a 24-23 lead and Turley had to call a timeout. 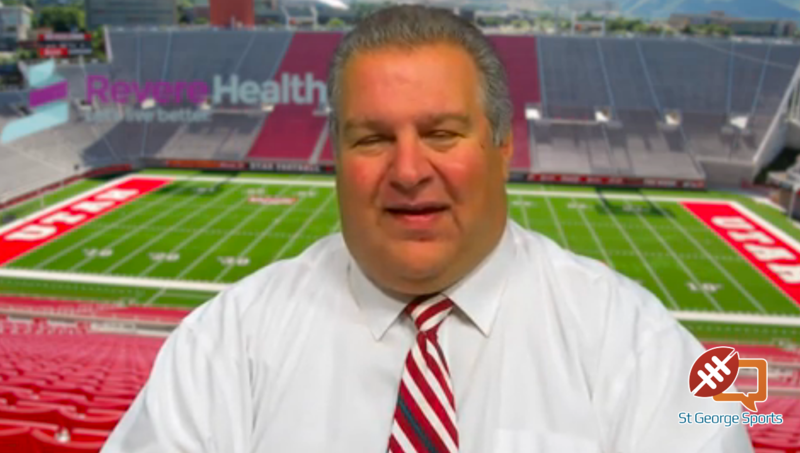 “I told the guys, ‘OK, they went on their run, it’s time for us to go on ours,'” he said. Out of the timeout, Cam Clayton took a pass in the corner and hit a wide-open 3-pointer to put the Thunder back on top 26-24. 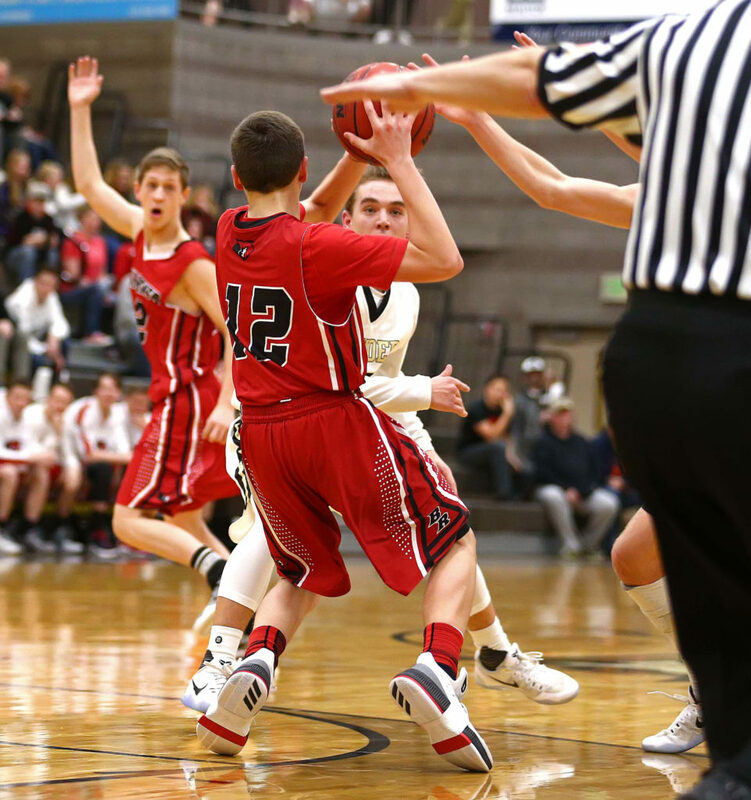 Bear River’s lead, the only one of the night, lasted seven seconds. The score stayed within one possession until the last second of the third quarter, when Porter canned another corner 3 to push the lead to 34-30 heading into the fourth. 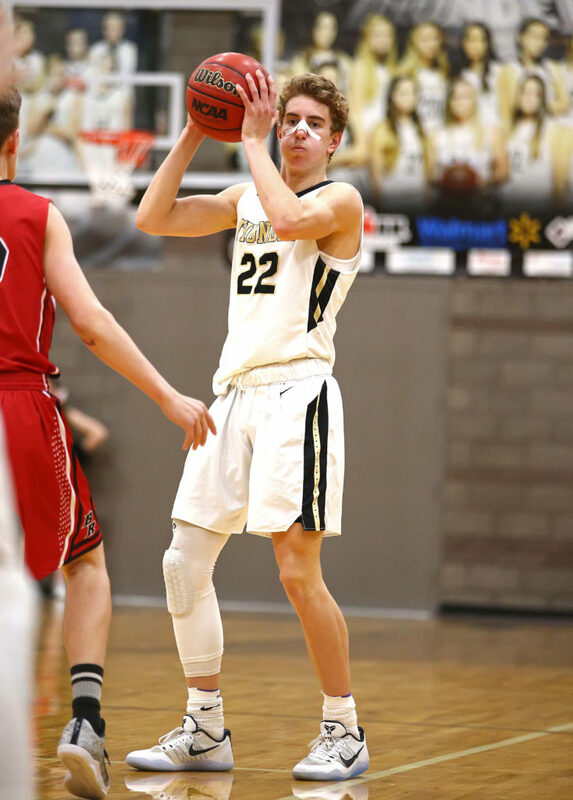 Desert Hills then started the fourth quarter with six straight points, including mid-range jumpers by Hokanson and Tanner Turley, to complete the 9-0 run and push the lead out to 40-30. Bear River never got closer than six the rest of the way. The Thunder’s shooting percentages were woeful as D-Hills made just 16 of 51 field goals for 31 percent and 12 of 24 free throws for 50 percent. But rebounding and turnovers were key. The Thunder had 12 offensive boards and committed just seven turnovers to 16 for the Bears. Hokanson had 17 points to go with four rebounds and five steals. Clayton had eight points and four rebounds before fouling out in the fourth quarter. Porter ended up with six points and seven rebounds. 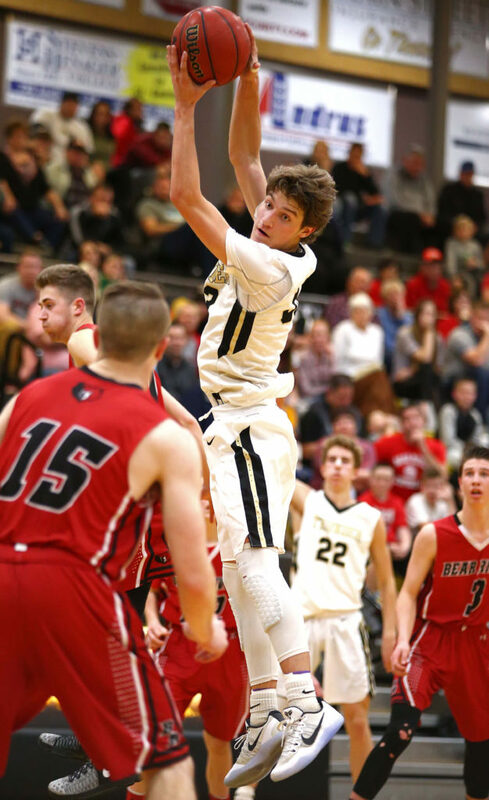 Dahle led Bear River with 15 points and Sorensen had 12, though the Bears also struggled with their shot, going 15 of 37 from the floor for 40 percent. 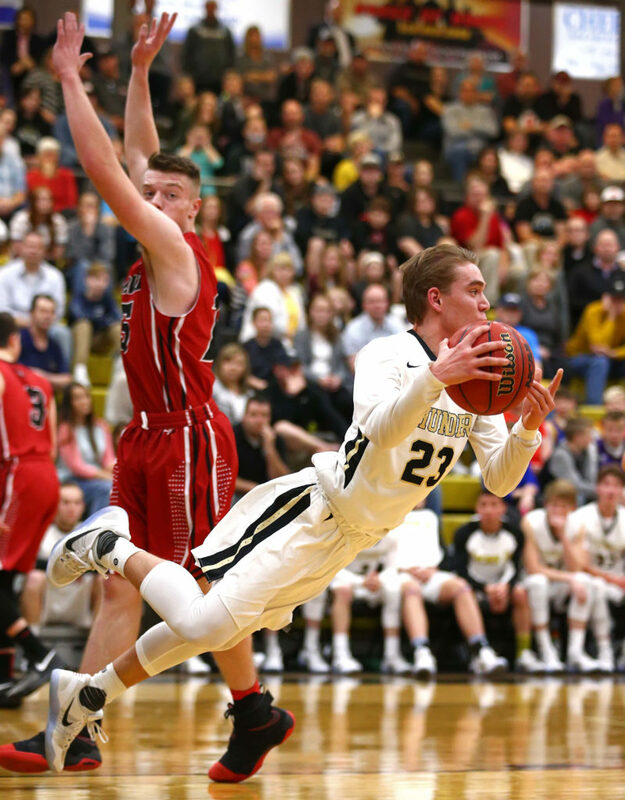 Leading scorer Cole Litchford, who averages 15 points a game, scored just two and had four turnovers while struggling with foul trouble all game. 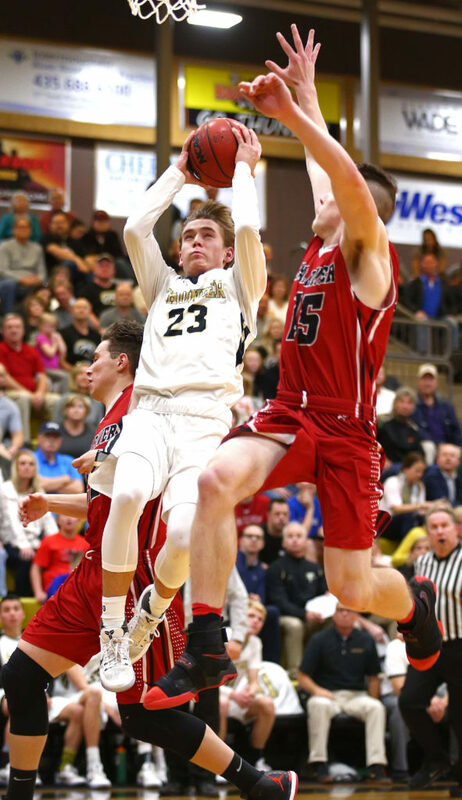 The Thunder, now 20-4 on the year, advance to the state quarterfinals, where they’ll play Stansbury on Thursday at 9:30 a.m. at Utah State University’s Spectrum Arena. The other quarterfinal in the upper bracket has Ridgeline taking on Carbon. The quarterfinal winners meet Friday night at 7:30 p.m. at USU in the semifinals.